The term reverse osmosis sounds like something your chemistry teacher in high school droned on about, right? If you tuned out your teacher to doodle on the margins of your notebook, now is the time to learn what reverse osmosis is and how it can improve the quality of your drinking water. 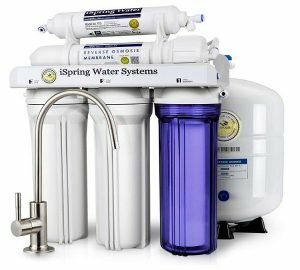 Find out all the facts on reverse osmosis home systems and decide whether you should purchase one for your home. And don’t miss our comparison table on the most popular reverse osmosis home systems at the bottom of the page. 7 Which is the Best? 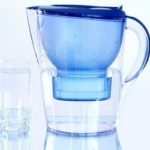 In the simplest terms possible, reverse osmosis, or RO, is a system that pushes water through a series of filters and membranes to remove impurities. There is a lot of history behind it and a more scientific way to explain the process, but to understand how it can make the water you consume cleaner and healthier, you can skip the history lesson and the geek-speak. Most municipal water systems use reverse osmosis to clean the H2O that flows out of your tap. 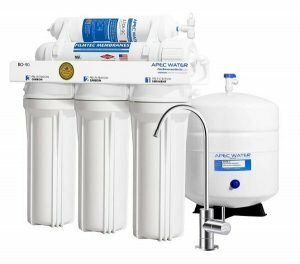 Large water filtration systems like that usually use a cellulose triacetate filter (CTA) that requires the water flowing through it to be chlorinated to keep bacteria from building up on the filter. 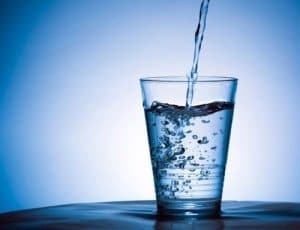 A higher quality filter known as TCF does not need the water to be chlorinated to work and usually employs a carbon filter to absorb chlorine and keep the water tasting good. Despite the fact that city water supplies are put through some reverse osmosis, the water that ends up in your faucet usually has some sediment, minerals, bacteria, chlorine and even viruses in it. For between $200 and $500 you can find a lot of different models. Buying on the higher end of that price range will ensure you get a better quality model. The main difference between the numerous systems to choose from is the quality of the filters and membranes. When you make your purchase, see if the unit has a warranty and for how long. Find out how easy it is to replace the filters and look for product certifications. There are a couple of options to choose from when deciding to purchase an RO unit for your castle. This is a unit that is installed under your sink and uses a series of filters that tap water is pushed through to clean it and then is stored in a tank. 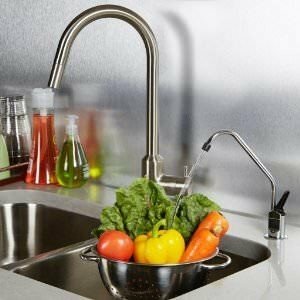 These types of systems have an additional faucet separate from your sink faucet to dispense the water. Be sure to get a model with an automatic shut-off valve so that it stops producing water when the tank is full instead of the water being wasted down the drain. 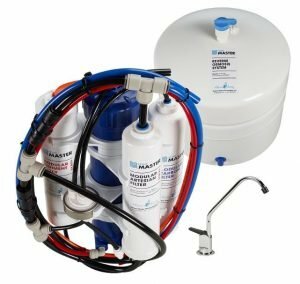 The disadvantage of a tank-less model are the higher cost of the unit, you have a lot more filters and membranes to replace, and it may require an additional purchase of a pressure booster pump to keep the water flowing. Here is how your unit will function and what each filter and membrane is for. Phase 4 – this is the big one; reverse osmosis. The water is pushed through a very fine filter that can remove around 95% (or more) of the remaining impurities in the water like fluoride. 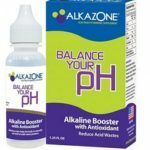 Phase 6 – here is where you water gets alkalized, meaning the pH is adjusted to 7 or above using good minerals like calcium and magnesium. 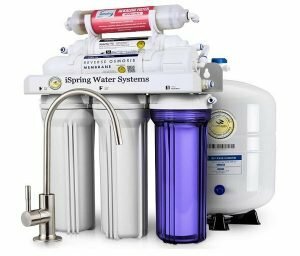 Now that you have an answer to how does reverse osmosis work, you can see the advantages of installing an RO home system. Fresh, clean, alkalized drinking water is more appealing to drink straight, use to make coffee or tea and include in our cooking. Here is a comparison table of some of the best-selling home reverse osmosis systems. We have included systems that provide only filtered water (5 stages) as well as the 6 or more stage systems that will alkalize the water. 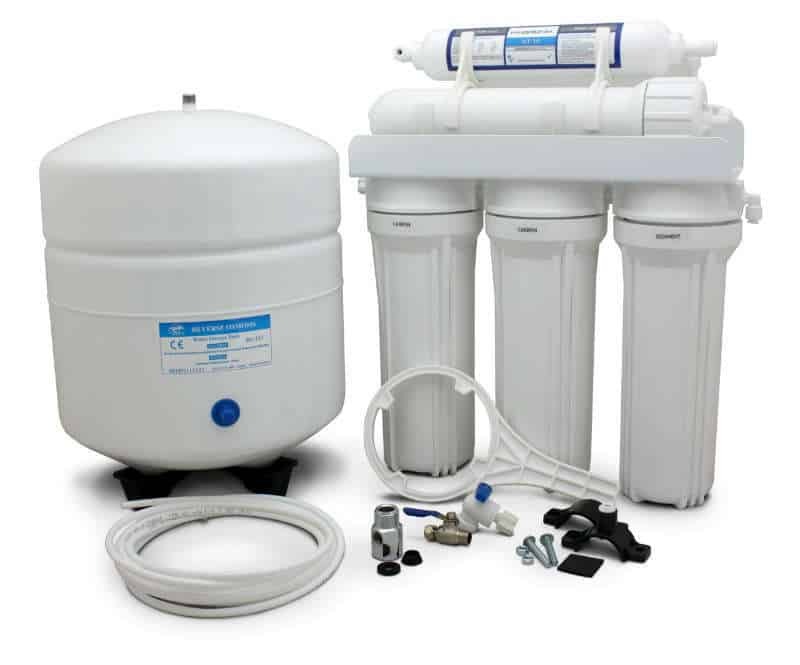 Our choice this year is the Home Master Undersink Reverse Osmosis System. Why? It filters water using all 7 phases, gets absolutely stellar reviews, is lightweight and has the best warranty. The fast flow kit is a bonus since a slow output system gets tiresome really fast. This is a solid product from a solid manufacturer. And it looks great too. Still not sure which system is right for you? 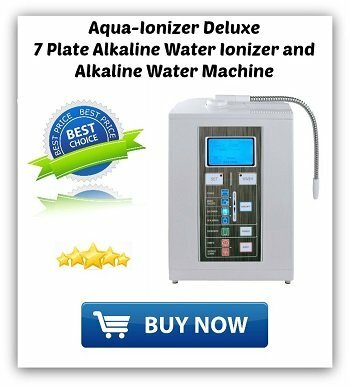 For more information on the different types of alkaline water systems available, visit our home page.